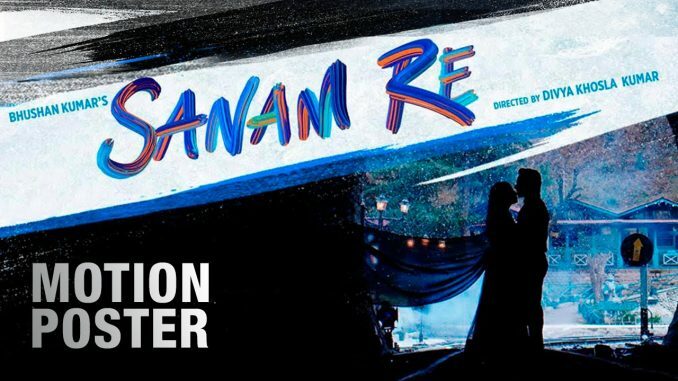 Divya Khosla Kumar whose maiden venture Yaariyan was a hit with the outh brigade and Bollywood music lovers is getting ready with her second directorial venture Sanam Re. This one is an eternal love story with Pulkit Samrat, Yami Gautam, and Urvashi Rautela in pivotal roles. Shot painstakingly on many virgin locations in Canada, Ladak and Kalpa in Himachal Pradesh, the visuals of snow-capped mountains and distracting green plains have deliberately been chosen to enhance the romantic mood of the subject. From hooting in sub-zero temperatures with barely any electricity in Kalpa to cycling to the sets in Calgary, the cast and crew has done it all to make this musical love story come alive on-screen. Divya's own graph from the youthful Yaariyan to the mature love story of Sanam Re shows immense growth as a filmmaker. From the house of India's biggest music production company, T- series, the songs of the movie range from soulful to peppy and as always they are sure to catch on in the coming weeks. Bhushan Kumar says, '' Divya's first film Yaariyan was a great success and she has grown as a director with Sanam Re that is an emotional love storywith great music. I am confident that Divya will beat the success of her first film with this film''. Speaking on the film the pretty and petite director Divya states that, "I am extremely excited for this day as we all have worked tirelessly to make this happen. Sanam Re is a soul stirring love story and is very different from Yaariyan and people will realise the same from the trailer itself. From the script to the songs to the locales, every nuance has been researched thoroughly and the result is for all to see with the trailer." The trailer of the film that launches online tomorrow is the perfect teaser for what promises to be a passionate, romantic film. Sanam Re releases worldwide on Feb 12, 2016.